I never once doubt my capabilities when it comes to study. It all started in Secondary 4 and until now, when I had a conversation with a kind Auntie. I think she meant well (though straightforward and pretty harsh in my opinion) and what she said was absolutely true. Being in an Express class means we're "smarter" and of course, able to think "more efficiently" as compared to others. Eventually all those stupid careless mistakes were not allowed, even if there is, it's ought to be kept to the very minimal. After reflecting what she said, I strongly suspect and doubt whether is it correct for me to choose to be in an Express class? I shouldn't have commit those avoidable careless mistakes and yet I done it as if I'm learning that particular question for the first time in my 4 years of Secondary School education! 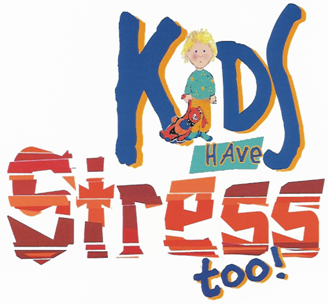 Normally for any Express classes, the need to cope with stress is a common situation. And because we're supposedly "smarter", this situation should be handled well enough by ourselves. All along I thought I knew how to cope with stress, but it seems that I overestimated myself. During exams I revised the way I usually does, I felt no stress at all. To me, in order to cope with the number of subjects given, I just have to memorise the textbooks, notes and formulas, and that's it! The exam should be quite well done. But I was wrong again. The results were under-satisfaction. I did what my teachers told me to do, especially E-Math, by doing specimen papers and 10-years series, but why does the results still came out as bad as before? Haven't I done what I ought to? aiya, everywhere need certificates lah, especially if we plan to go overseas to find job one day, or do something else. Having a cert is always better than nothing. Nevermind, struggle also can get cert one, just like me. Work hard! You won't regret!! not suitable to study is tedious for him/her to go on. effort put in is still the most important! I feel you...study so hard but only get passes. In the end, everything just keep going downhill.